1 Who is Tobias Santelmann? 7 Is Tobias Santelmann married? What is his marital status? Tobias Santelmann is a Norwegian actor, who is probably best known for portraying the character of Knut Haugland in Oscar-nominated movie “Kon-Tiki” (2012). However, he is also widely recognized for starring in a recurring role in the popular BBC TV’s historical fiction series “The Last Kingdom” between 2015 and 2017, as well as more recently in 2017 Netflix TV’s series “Borderliner” in which he appears in the main role. Da er vi kommet til siste episode. Takk til alle dere som har fulgt med oss disse ukene. Tusen hjertelig takk for alle hyggelige tilbakemeldinger. Det settes stor pris på!! Siste episode av GRENSELAND, der altså. TV2 kl 21.40 i kveld. Takk for følget ? 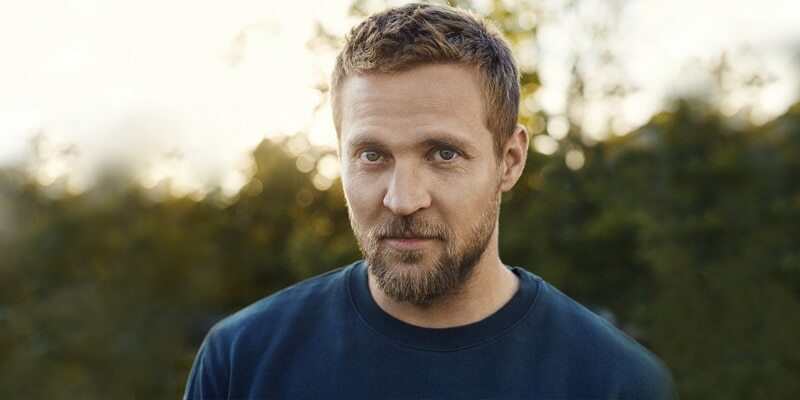 Tobias Santelmann was born on the 8th August 1980, in Freiburg, then West Germany, but at the age of one he moved to Norway with his parents, and grew-up in Lindesnes in the South Norway, before at the age of 16, transferring to Oslo. He is of Norwegian nationality and white ethnicity while his zodiac sign is Leo. Further details about his family’s background have never been publicly disclosed so far. After completing his secondary education, Tobias enrolled at The Oslo National Academy of the Arts from which he graduated in 2006, then began his professional acting career at The Norwegian Theatre in Oslo, where in the course of the next several years, Tobias starred in a variety of roles in stage plays such as “The Castle”, “The Good Person of Szechwan” and “Nora”. His on-camera acting debut occurred in 2010, when he appeared in the Norwegian crime movie “Varg Veum – Skriften på veggen”, followed by his small screen debut, with the recurring role of Ole Marius Aronsen in the TV drama series “Maria”. After honing his skills in several episodes of the TV series “Stikk” in 2011, Tobias then was cast for the role of Knut Haugland in the 2012 historical adventure movie about the legendary 1947 expedition – “Kon-Tiki”. The movie earned an Academy Award nomination as well as 25 other accolades, while Santelmann drew praise by the critics for his great performance. In the course of the next several years, Tobias appeared in numerous Norwegian motion pictures, such as the movies “Escape” (2012), “Chasing the Wind” and “Vasa Sam” in 2013, and “In Order of Disappearance” (2014) as well as the TV series’ “Eyewitness” and “The Saboteurs”. To a greater prominence Tobias Santelmann came in 2014 when he was presented to the international audience by appearing in Hollywood’s blockbuster fantasy movie “Hercules” featuring Dwayne ‘The Rock’ Johnson in the title role. However, the real breakthrough in Tobias Santelmann’s professional on-camera acting career occurred in 2015, when he was cast for the recurring role of Ragnar the Younger, the main protagonist’s half-brother, in BBC’s epic TV series “The Last Kingdom”. The series, set in the year of 872, pictures the story of a handful of England’s separated kingdoms invaded by hordes of the fearsome Danes. Tobias intermittently appeared in nine episodes of the series through its two seasons between 2015 and 2017. It is certain that this appearance as well as the series’ popularity made an impact on Tobias Santelmann’s fame. BORDERLINER (Grenseland) is finally released on NETFLIX all over the world. Enjoy ? In 2017, Tobias was cast for the main role of police officer Nikolai Andreassen in the Norwegian TV noir crime drama series “Borderliner” (referred to as “Grenseland” in Norway). The show, which follows Tobias’ character investigating a suicide, aired in November 2017 in Norway, but gained a greater dose of audience attention when it began airing on Netflix in March 2018. In addition, Tobias has added several other acting credits to his professional portfolio, including appearances in the TV series “Homeland”, “Marcella” and “Acquitted” as well as several notable movie appearances such as in “Point Break” (2015) and “Afterparty” in 2016. Have you ever wondered how much wealth this popular Norwegian actor has accumulated so far? How rich Tobias Santelmann is? According to sources, it is estimated that the total of Tobias Santelmann’s net worth, as of mid-2018, revolves around the sum of up to $7 million with an annual salary estimated to be around $1.2 million, primarily acquired through his professional on-camera acting career that has been active since 2010. Tobias sports an athletic and buffed body, featuring a height of 6ft 2.5ins (1.88 m), which in addition to his dark blond hair and piercing blue eyes apparently make his appearance quite alluring. He is also active on several social media networks, including Twitter as well as Instagram where his official account – @santelmann has amassed more than 26,500 fans. Is Tobias Santelmann married? What is his marital status? Yes, this 37-year-old Norwegian actor is a married man – to journalist Jennifer Braathen, whom he allegedly met by accident in a public toilet. The couple has so far welcomed a daughter, named Alba. With his family, Tobias currently resides in Oslo, Norway.